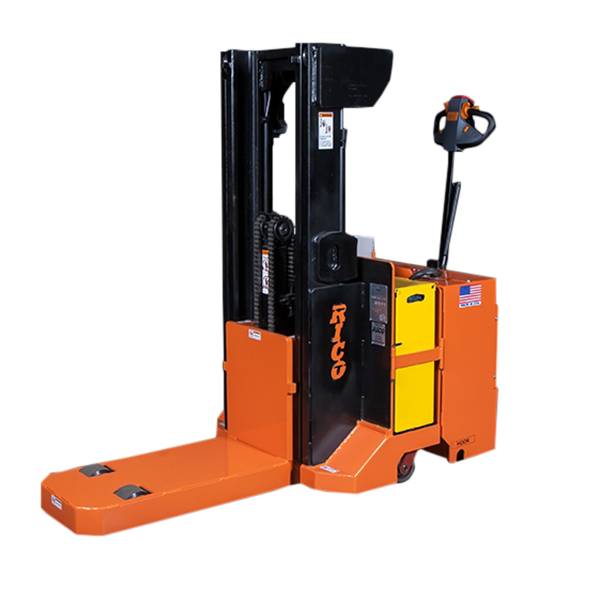 RICO’s platform truck series are designed to improve load handling and load stability. These trucks increase efficiency when lifting and transporting heavy and awkward loads throughout manufacturing or distribution facilities. We take more into account than just the size of the platform for support. 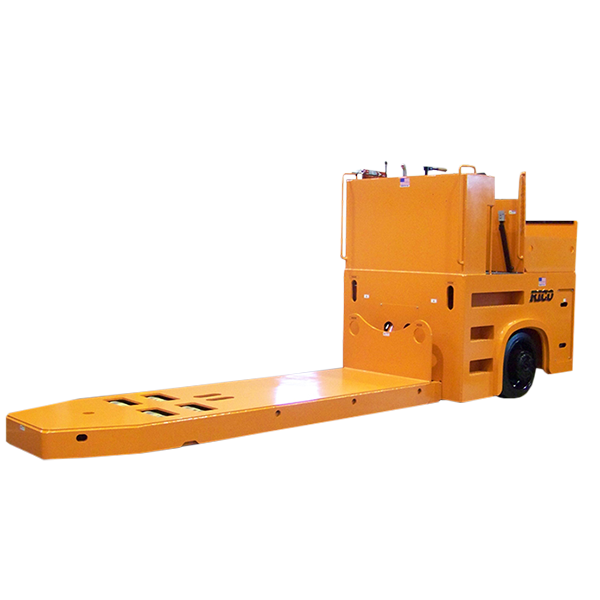 Our heavy duty platform under carriage is designed with hinge style lift for maximum load capacity and increased platform stability. Pallet style lift is utilized for high capacity loads and lower platform height applications. Our high lift mast can be used for increased lift height requirements. Each style delivers exceptional load stability and safe transportation of materials. We maximized safety and maneuverability through low profile drive ends and tighter turning radius steering for easy, accurate load spotting.